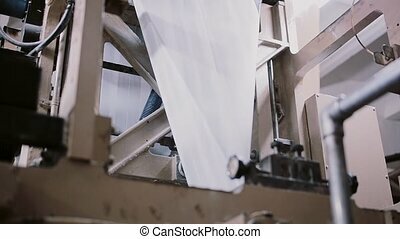 Details paper moving on conveyor. 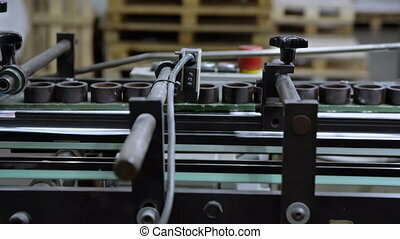 Moving conveyor belt in a printing press. 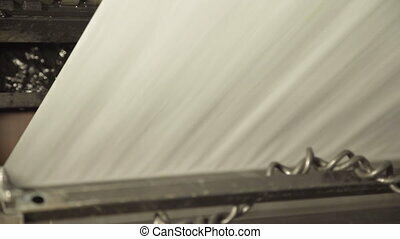 A view of paper in a printing machine. 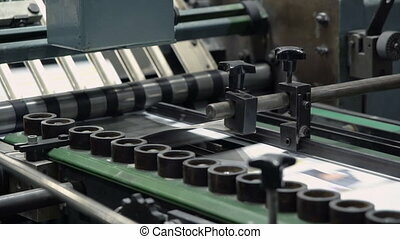 Printing establishment detail on production line with sound. 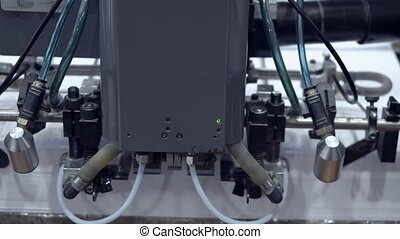 A view of a printing machine. 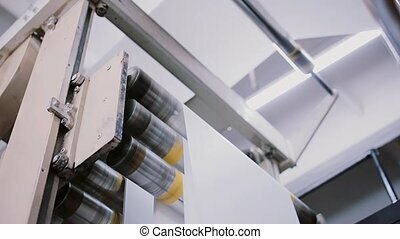 Printing establishment detail on production line with sound. 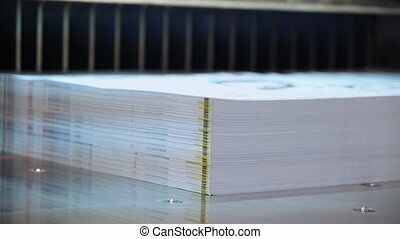 Paper for printing. 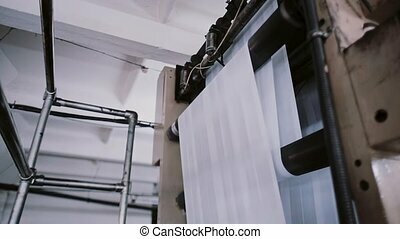 A view of paper in a printing machine at a printing establishment. 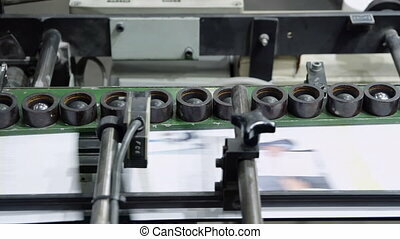 Printing detail on production line with sound. 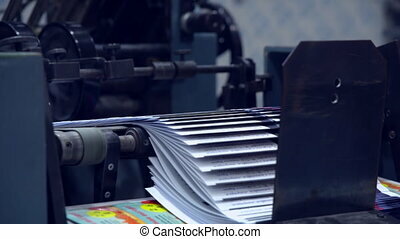 Process of printing at a printing establishment. 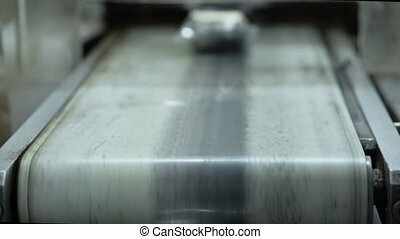 A view of paper in a printing detail on production line with sound. 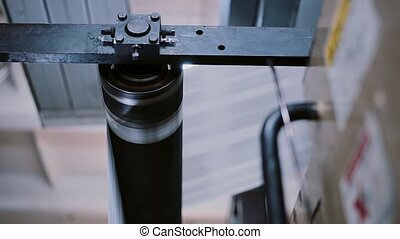 vertical conveyor high speed belt of papers in printing plant. 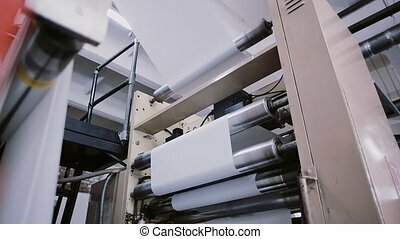 There is assembly line, where with big rate moves products, first it is just white sheets, later there are some pages of newspapers only with black text. 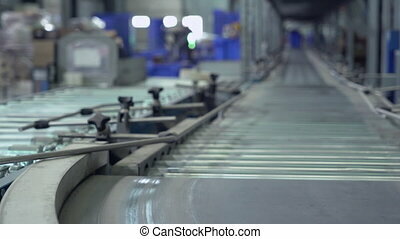 Action takes place on special metal machine full of various rollers. Also in front of us we see thick steel chain on iron beam. Orange and pink paints mixed together. 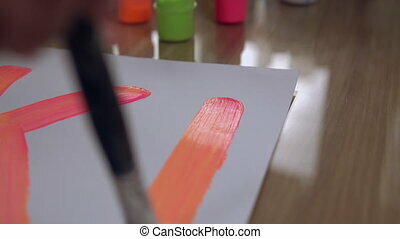 Drawing a picture with paintbrush. 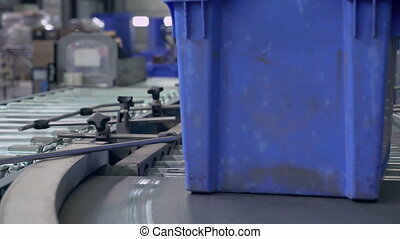 Close up blue container moving on packaging lines in shorehouse or factore. Packaging lines without boxes in warehouse. 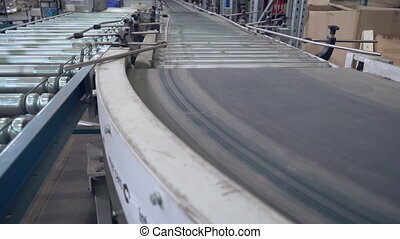 Automatic conveyor in delivery company. close up hands old man working at print factory. 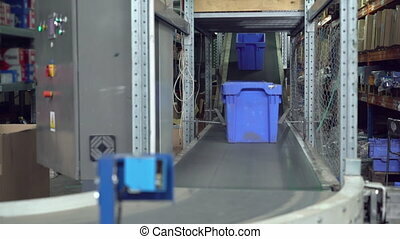 Boxes moving on the automatic conveyor. 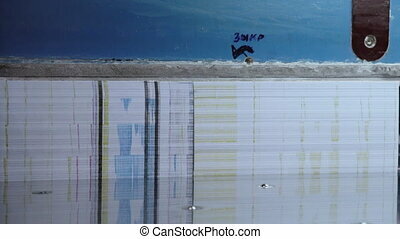 Details equipment in delivery company or warehouse. 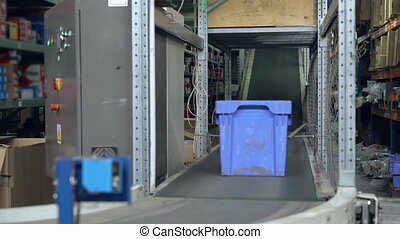 blue container moving on conveyor. 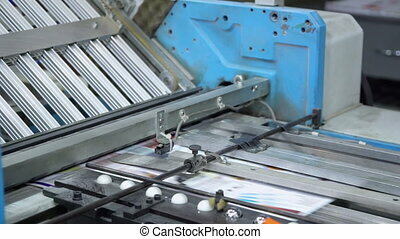 Automatic sorting before delivery.